FESTIV’ALL IS ONE OF SILICON VALLEY’S MOST CELEBRATED SMALL BUSINESS RESOURCE FAIRS AND LARGEST MULTI-CULTURAL NETWORKING MIXERS. 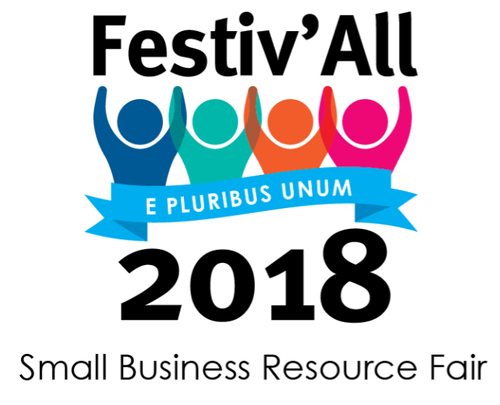 Festiv’ALL 2018 will bring together a powerful combination and significant number of multi-cultural, multi-ethnic, business-oriented organizations from all around the region. The event will have numerous representations from local business servicing agencies and associations, complimentary food samples from various multicultural restaurants as well as ongoing entertainment. Festiv’ALL is a mega mixer that will draw over a thousand attendees. Sponsored by the San Jose Hispanic Chamber of Commerce. Our Rainbow Chamber will have a booth at Festiv'all - how about coming to the event and helping out for a half hour or so? We want everyone to come, and we hope some of you will spell Ron at the booth. Contact Ron and let him know if you can be there!